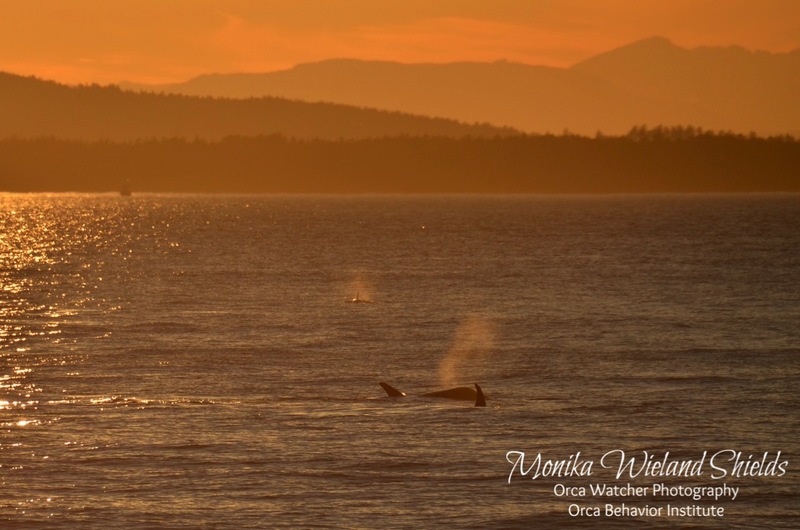 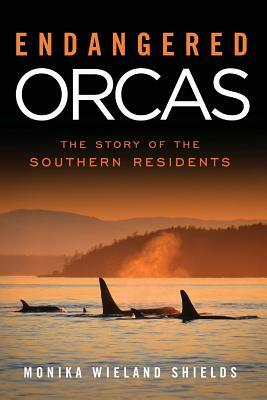 Orca Watcher: July 18th: Finally! 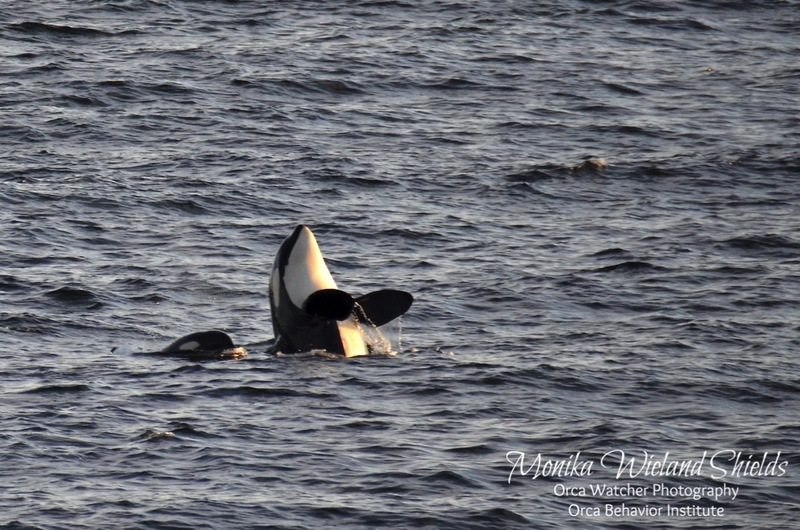 L-Pod! 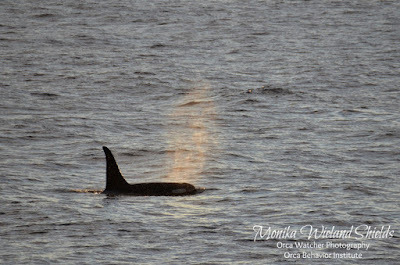 After 17 days with no Southern Residents in inland waters (in July! 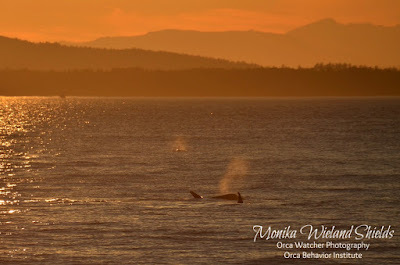 ), late on the evening of July 17th part of L-Pod made their way towards San Juan Island, reaching the west side just after the sun set. 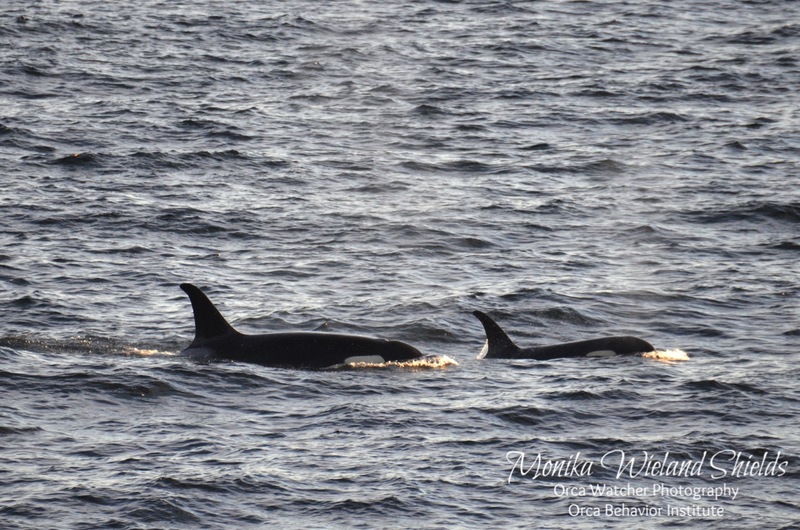 On July 18th, I got enough of a distant glimpse of them in the morning to confirm they were still here, and then after work saw a few of them foraging offshore, but the patience paid off in the evening when they finally came north as far as Land Bank and Lime Kiln. 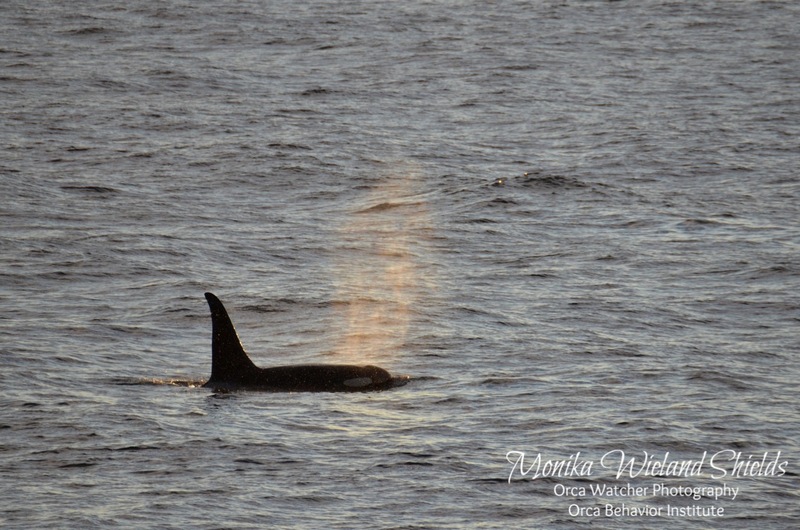 It sure was nice to see some of these familiar fins again! 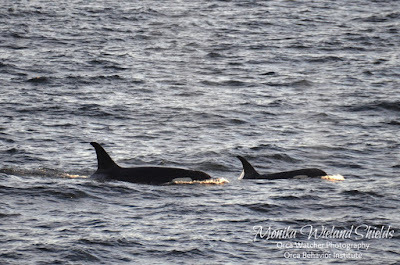 The photos don't really do it justice, but the L4s, L26s, L47s, and L72s (the 19 L-Pod whales present) were in one big, slow moving group doing lots of rolling at the surface, spyhopping, and kelping in the kelp offshore of Land Bank. 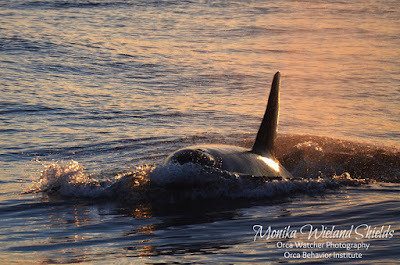 It's uncommon for Ls to go north much further than Lime Kiln when they're here by themselves, and sure enough, just north of the lighthouse they started milling. 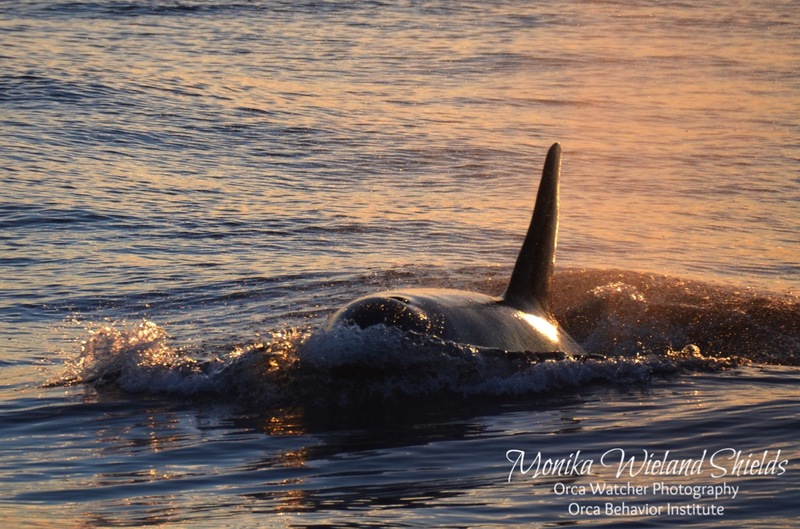 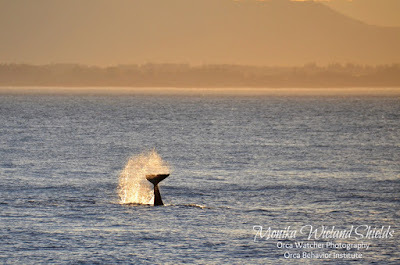 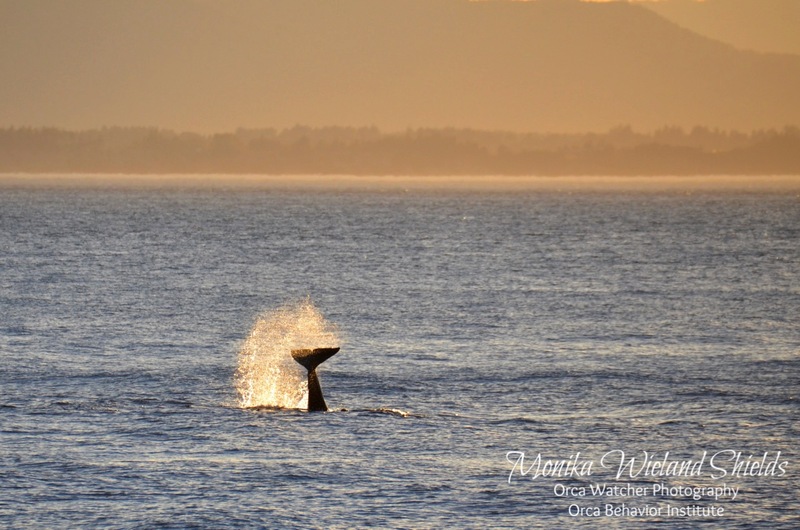 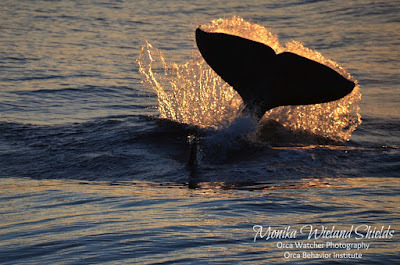 They turned back south before dark, and one whale came and gave us an extra close pass! A close sunset tail slap was the grand finale on the evening! 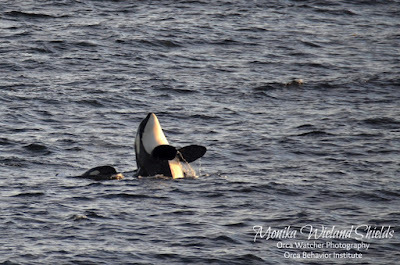 Sadly, the next morning Ls were westbound out the Strait of Juan de Fuca again, but this time we only had to wait 5 more days for the next return of the Southern Residents.